Snowman nativity set. 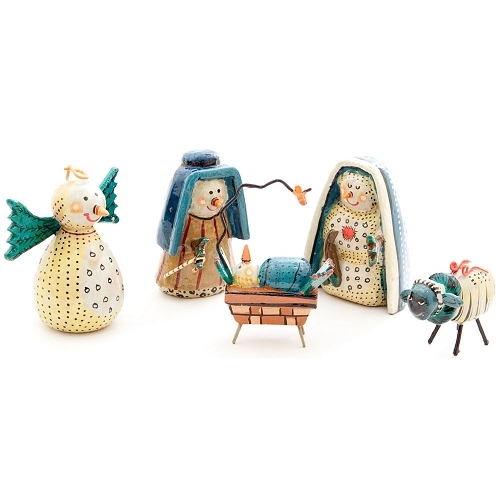 This cute whimsical nativity was hand made and hand painted in India. 5" x 4" Tall.